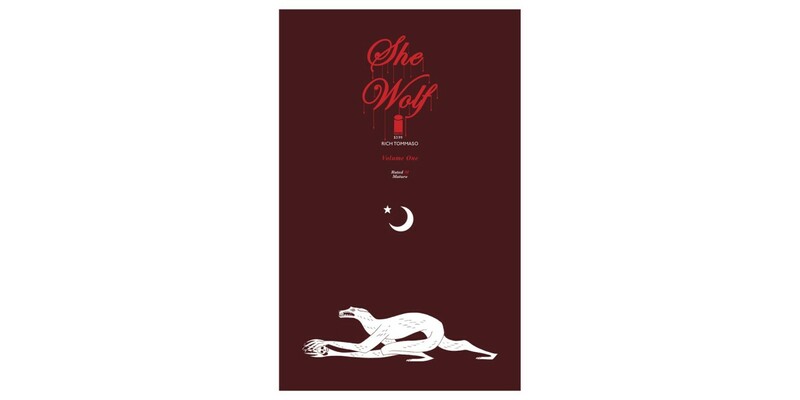 From fan-favorite writer and artist Rich Tommaso (DARK CORRIDOR) comes SHE WOLF, VOLUME 1, which collects the first four issues in the surrealist horror series, this November. SHE WOLF follows a teenage girl who believes she's been bitten by a savage werewolf. Soon after, she begins to experience feverish nightmares that seamlessly bleed into her waking life. Friends and family help her unlock the keys to her strange transformations through their own personal experiences with lycanthropy—and by the use of witchcraft. SHE WOLF, VOLUME 1 (ISBN: 978-1-63215-905-2) hits comic book stores Wednesday, November 16th and bookstores Tuesday, November 22nd, and will be available for $9.99. It can be ordered by retailers with Diamond code AUG160702 and is available for preorder on Amazon, Barnes & Noble, Indiebound, and Indigo.